In Vendée today. 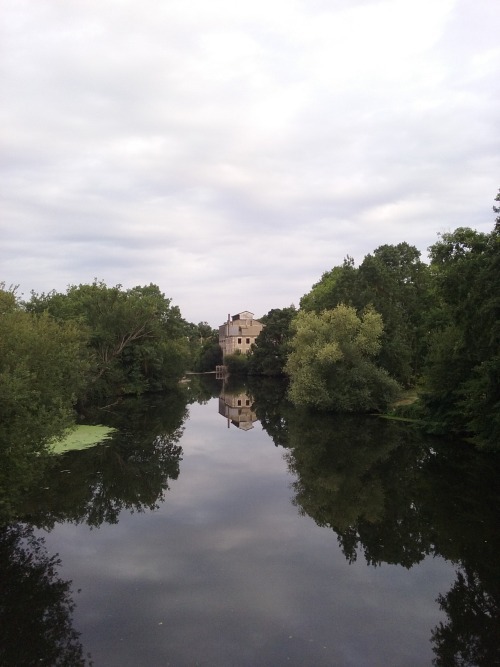 As we drove into Cugand I saw this mill in the distance and decided I should go and visit. I thought it should take less than fifteen minutes by bike. 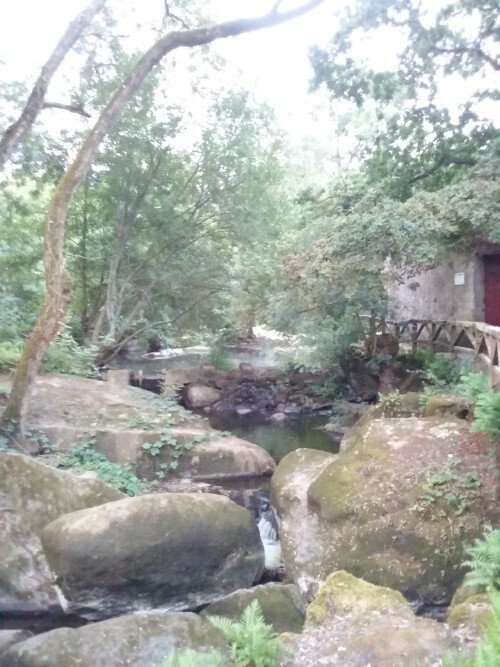 I completely missed it and ended up at another mill called “Le Moulin Neuf” and a lovely part of the river Sèvre full of huge boulders. The mill above is “Le Moulin à Foulons”. Went there with the kids later in the day. Jumped around like goats on the boulders with the children. The inevitable happened and I ended up fishing one of them out of the water. On the other bank there is a virgin in a grotto. I decided to return for the next fifteen minute excursion.